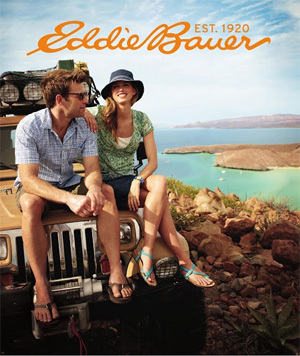 The Eddie Bauer catalog is your premier stop for quality outdoorwear for men, women, and kids! The catalog includes all of your apparrel needs, from top to bottom and everthing in between, including a wide assortment of jackets, pants, shorts, shoes, and swimwear. Browse through the Eddie Bauer catalog for those hard to find gift and gear ideas.